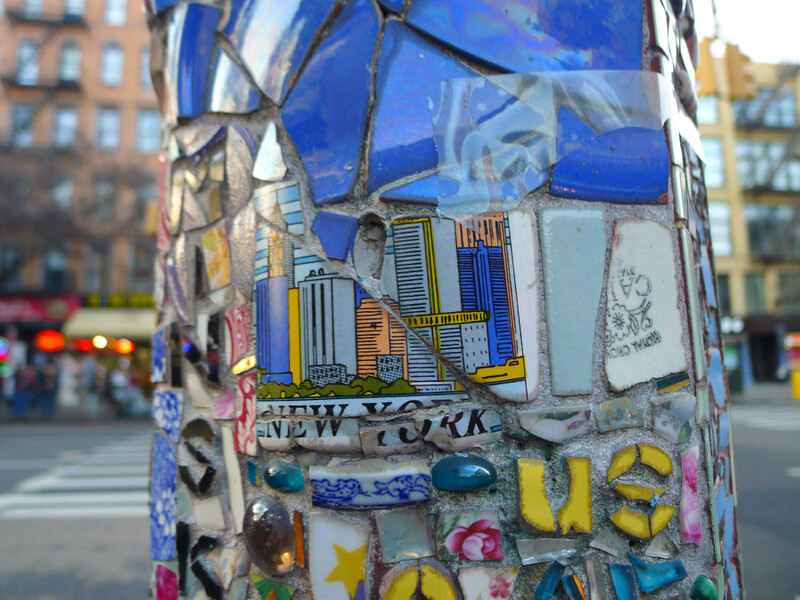 I’ve lived in the East Village for nine months now and I’ve obviously not been paying attention. 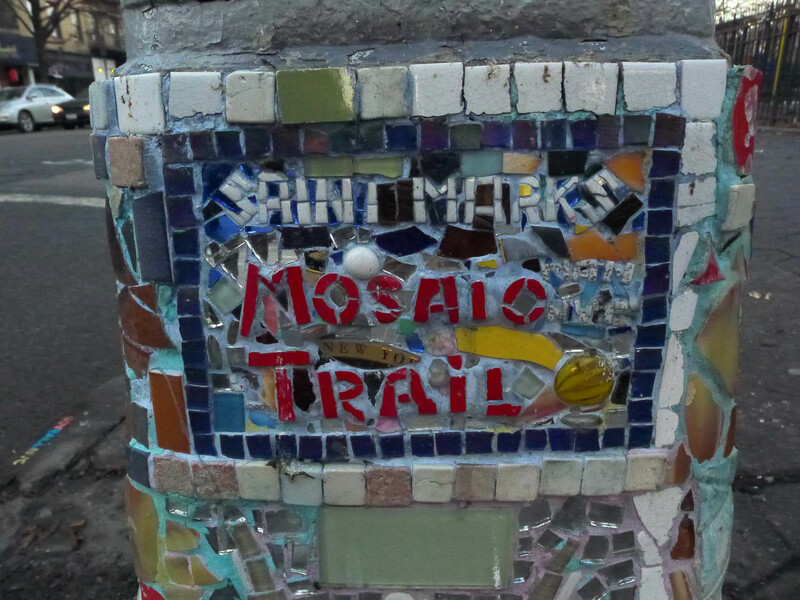 Today I was looking for new things to check out nearby and came across the Mosaic Trail – quirky mosaicked lampposts just a stone’s throw from my front door. 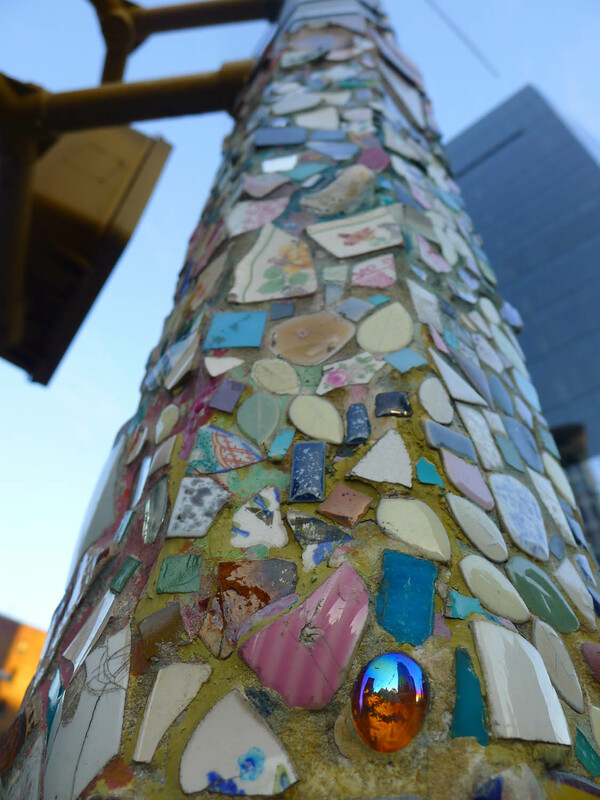 Even though I pass the lampposts every single day to and from work, I have never noticed them before. 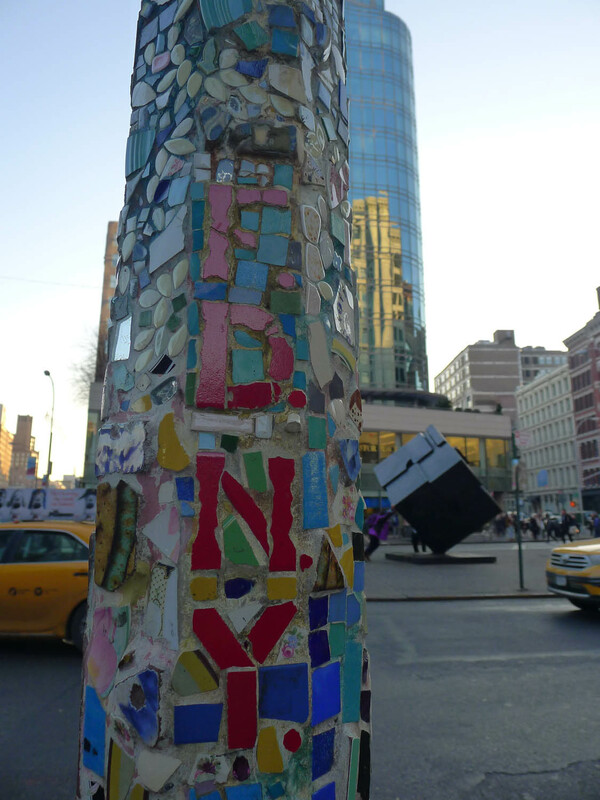 And that’s just ridiculous. 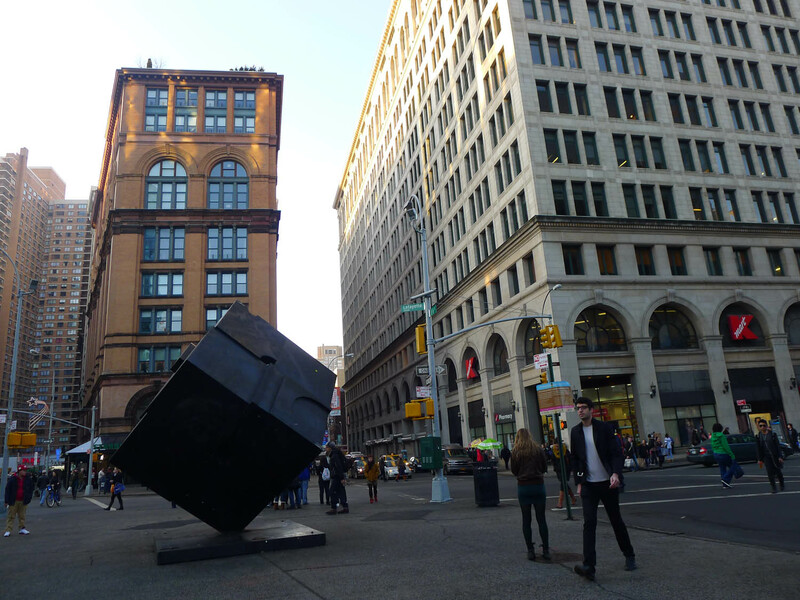 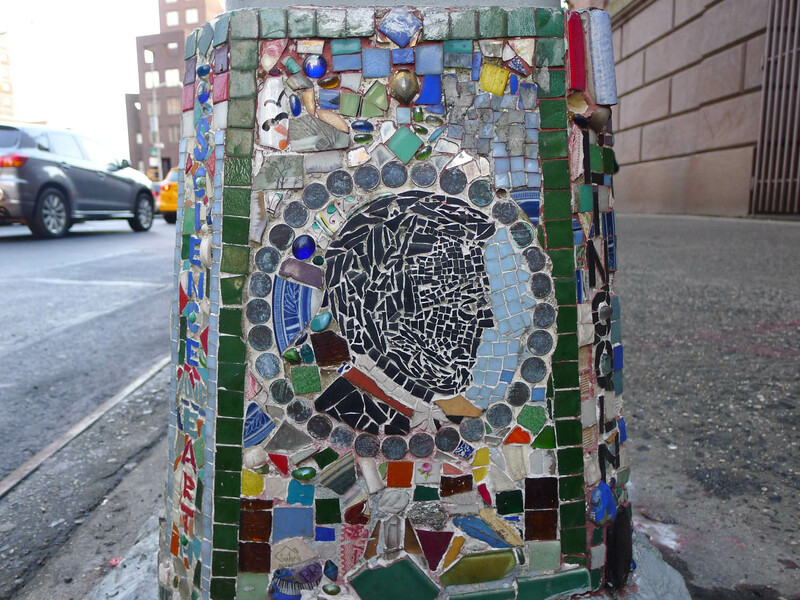 The Mosaic Trail stretches between Astor Place and Avenue A – and reaches back decades. 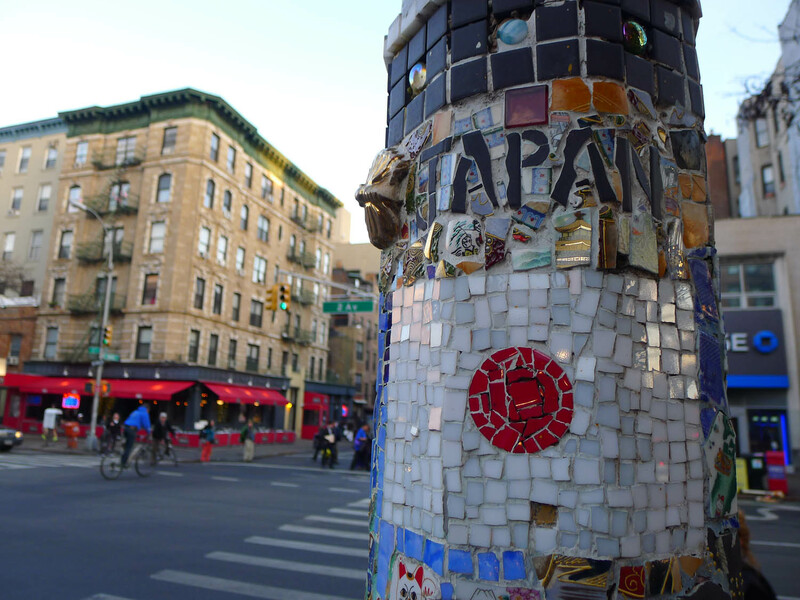 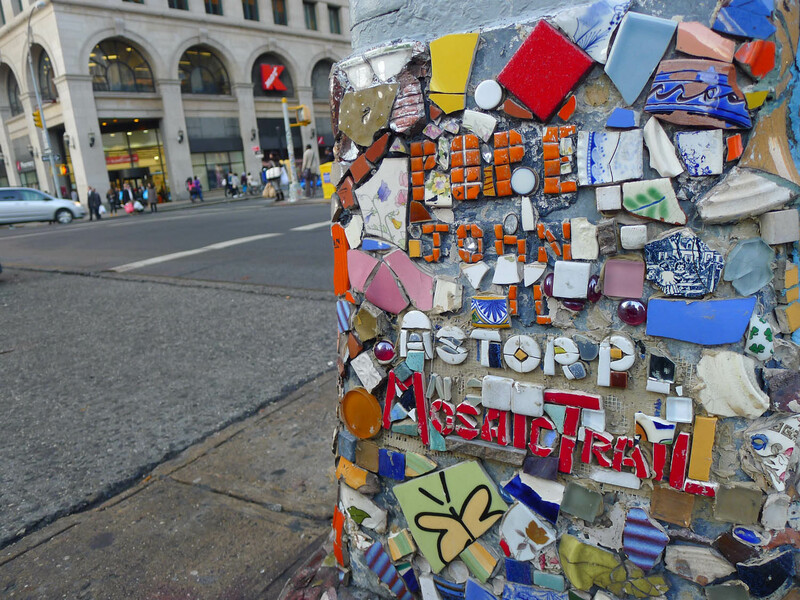 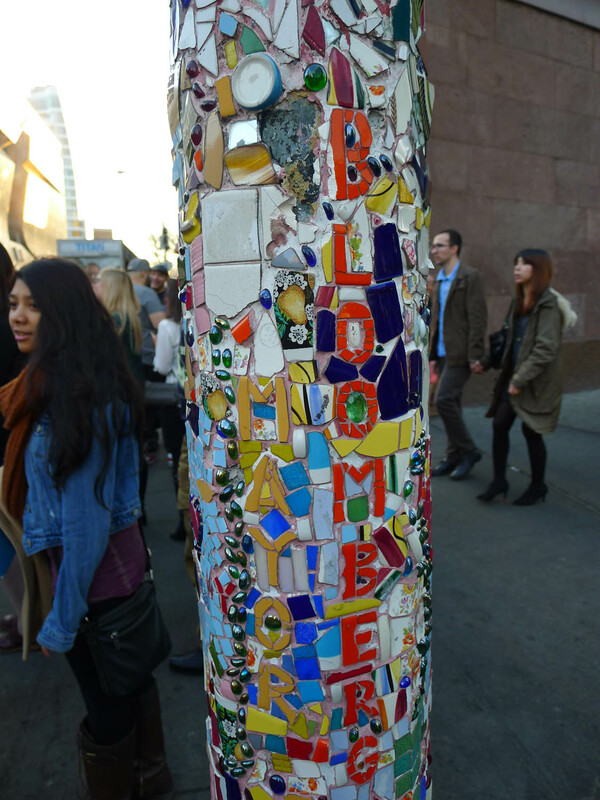 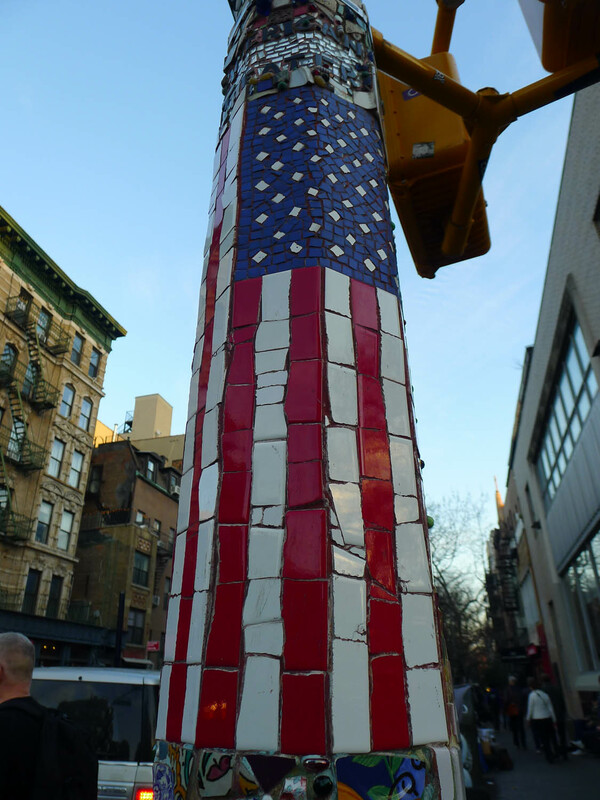 Jim Power, also known as the ‘Mosaic Man’, created the first mosaic lamppost in Astor Place in the 1980s and went on to embellish around 80 others along the route after getting the endorsement of the city. 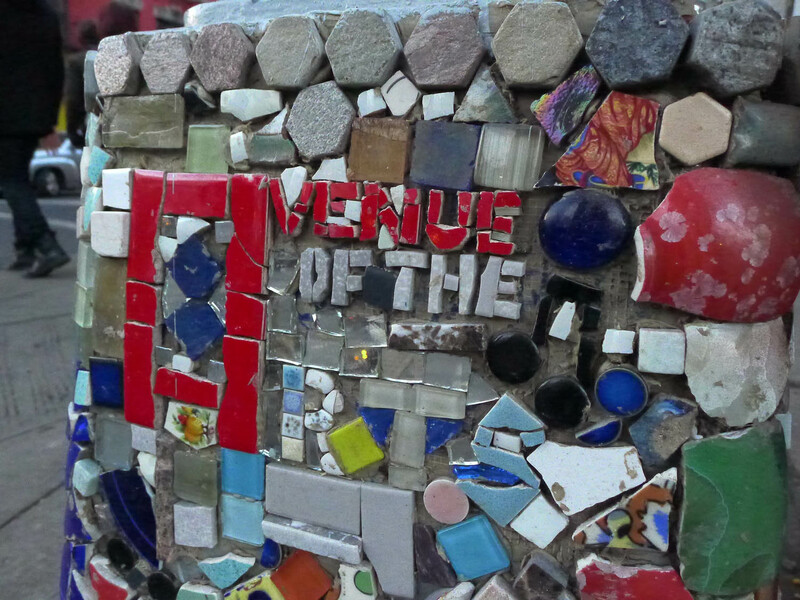 Only about a quarter of them are still around today – but a campaign is underway to protect them. 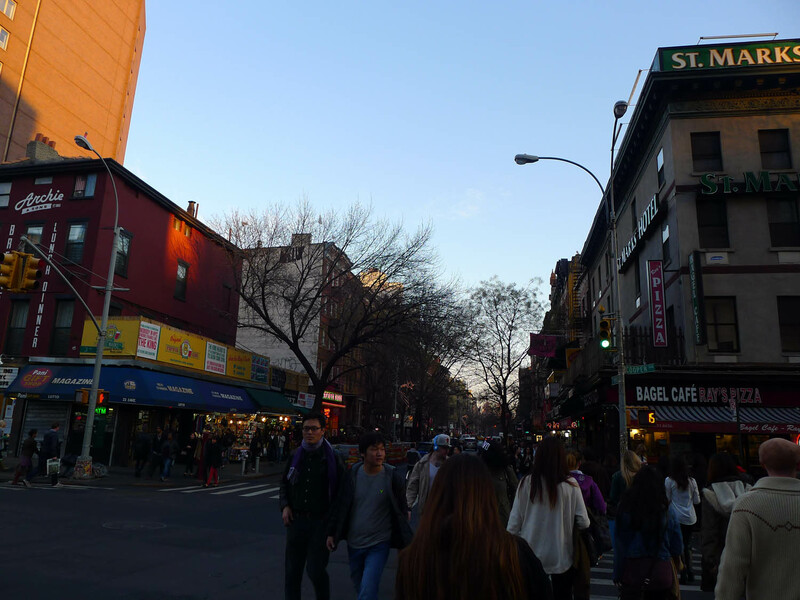 Ryan and I started at Astor Place and walked east along St Mark’s (8th Street) until we reached Tompkins Square Park. 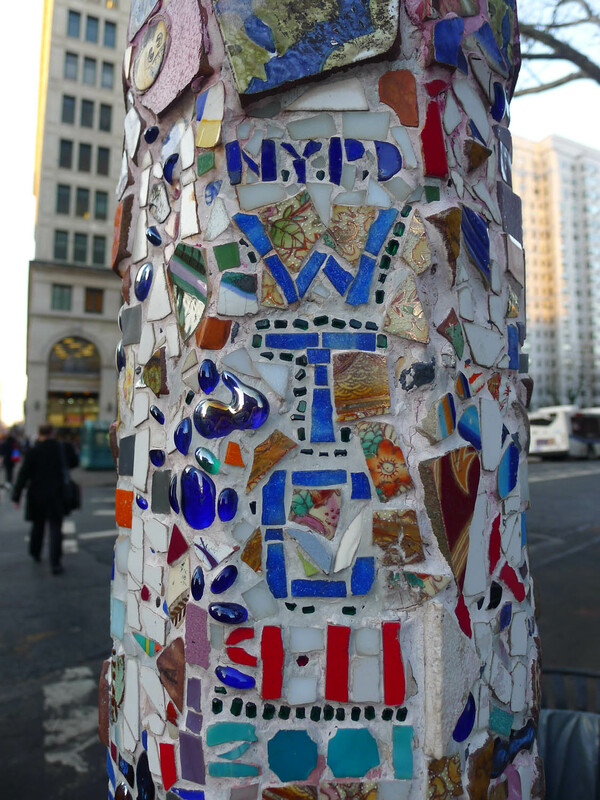 The lampposts mark the city’s social and political history by including names of significant people (mayors, governors), events (9/11) and places. 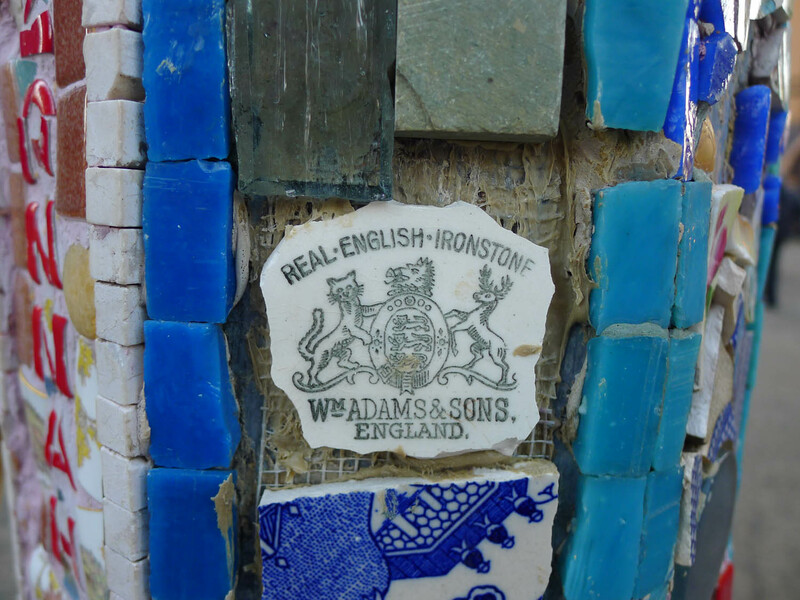 There are also photographs of faces and scenes, as well plenty of interesting items among the broken glass; there’s even a piece of a guitar that was smashed by Pete Townshend from the Who. 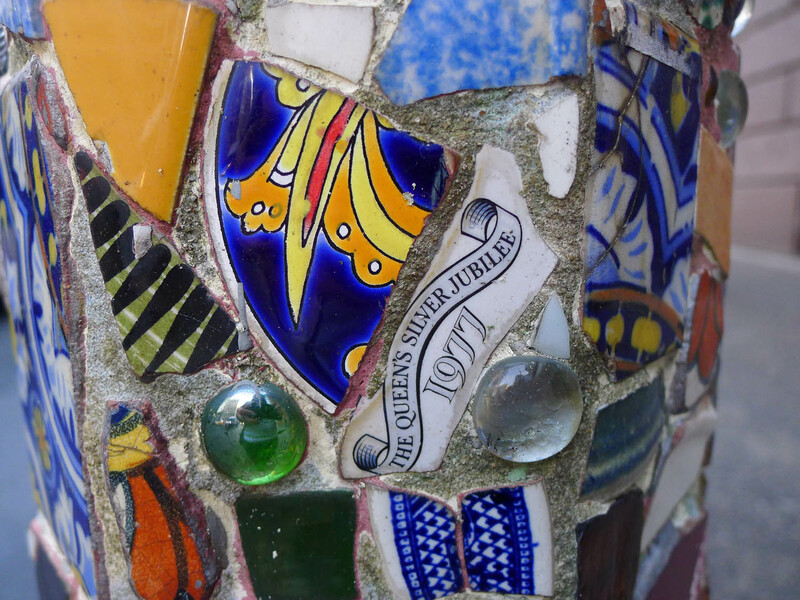 I loved the detail. 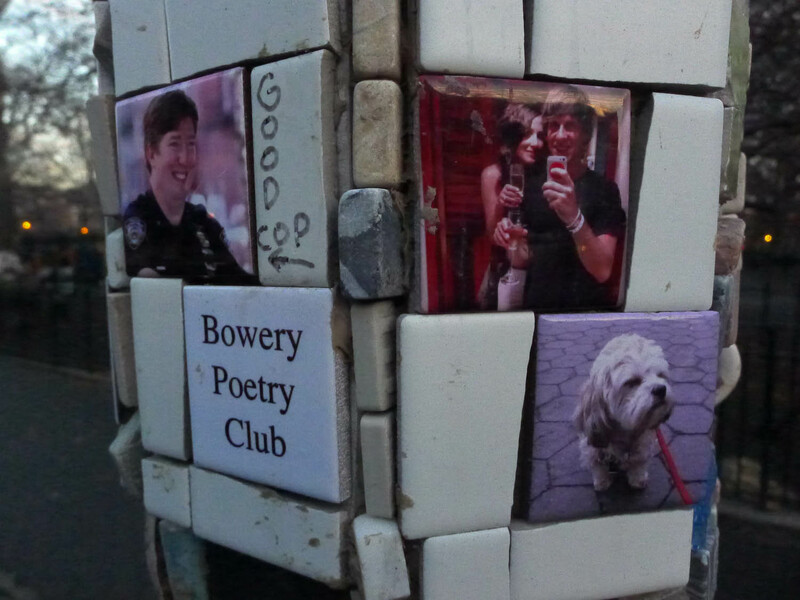 Finding the next lamppost felt like a scavenger hunt – every post was creative in a new, unexpected way. 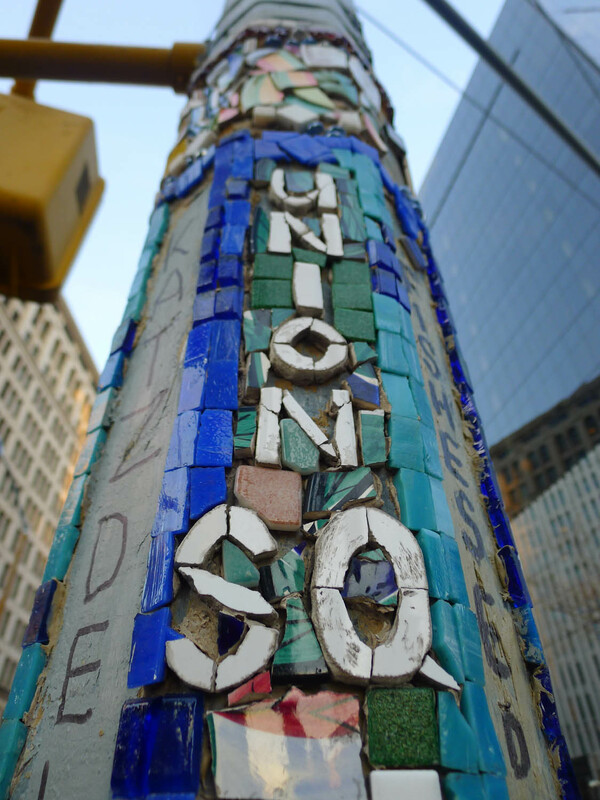 It was also a great reminder of why I do todaysthedayi – these great things are all around me, and finally I’m looking up and taking notice!